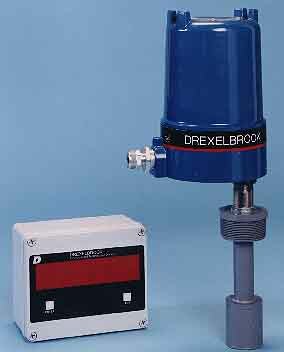 Drexelbrook Engineering Co.iversalSonic open channel flowmeter provides an accurate, cost-effective flow rate measurement in all standard and non-standard flumes and weirs. Calibration of this flowmeter can be accomplished in seconds, on the bench and without power, eliminating the need for confined space entry permits. The meter can be mounted remotely to eliminate having to enter a confined space to see the display, or to configure the totalizer and sample activator. , 205 Keith Valley Rd., Horsham, PA 19044. Tel: 215-674-1234; Fax: 215-674-2731.